For those of you who haven’t heard, Governor Wolf has stripped the asset test from the SNAP (food stamp) program beginning today, April 27. You can read more about the decision at http://www.post-gazette.com/news/state/2015/04/27/Wolf-scrapping-controversial-assets-test-for-food-stamps/stories/201504270008. This is a great step forward for all Pennsylvanians, especially those who are working to emerge from poverty. Asset tests such as the one in Pennsylvania prevented families from saving money in order to buy a car to go to work or pay for classes that would improve their career. In addition, Governor Wolf’s administration estimates that $3.5 million will be saved by eliminating the asset test since the Department of Human Services will have less paperwork to process. Join our Coalition Partners on April 17th at Northampton County Community College! The Making Work Pay PA Coalition invites you to a discussion about what policies government can implement to ensure PA working families thrive and what we can do to help advocate for those changes. There will also be an opportunity to hear and share personal stories. The event will be held in the Community Room of the College Center Building. The event is free and open to the public. Breakfast will be provided. This event is hosted by the Making Work Pay PA Coalition and sponsored by the New Choices New Option Program of Northampton County Community College. 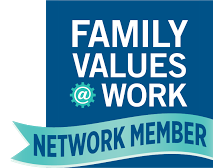 PathWays PA is a member of the Making Work Pay Steering Committee. For more information, please visit www.makingworkpaypa.org. In honor of the 25th anniversary of the Friends of the Delaware County Women’s Commission and the 30th anniversary of the Women’s Commission, women college students are invited to apply for the organizations’ Rising Star scholarship award of $1,500. The scholarship is open to a full or part-time undergraduate student either attending a two or four year college in Delaware County or residing in the county. The application requires candidates to provide a college transcript, a resume which includes work, community service and leadership experience, letter of reference from a faculty member or employer, and a personal essay of 500 words or less. The topic is Pay Equity and the opportunities available to her that might not have existed in the past. The awardee will be recognized at the annual dinner of the Friends on June 4th at the Springfield Country Club, and the scholarship funds will be sent directly to her college or university account. 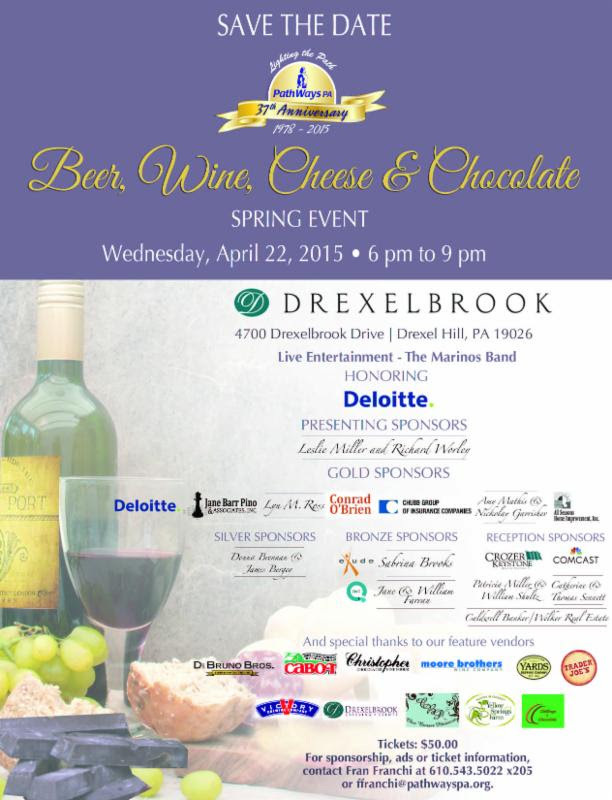 PathWays PA would like to invite all of our friends, colleagues and supporters to attend our 2015 Beer, Wine, Cheese and Chocolate Spring Event on Wednesday April 22, 2015 6:00 PM to 9:00 PM at the Drexelbrook. The event will feature an amazing selection of beer, wine, cheese and chocolate from a wide array of local and national companies; live entertainment and a silent auction. We will also be honoring Deloitte for their contributions to the community. PathWays PA's Chester Young Parents Program will be holding a parenting education classes at the Chester Boys and Girls Club beginning April 1st. The parenting education classes will help teen parents between the ages of 13 and 25 years old build the skills necessary to ensure the healthy development of their children. For more information about the Young Parent's Program's parenting education program contact Dalana at (610) 543-5022.